Recognizing employees for a job well done isn’t just a feel good thing to do—it can be an effective strategy to keep employees motivated and working hard. One way to show your employees their efforts are appreciated is with custom awards. Employee awards are a simple, yet powerful, way to encourage employees to do their best. Show team members their work is valued and inspire consistent high-quality work with employee recognition awards. 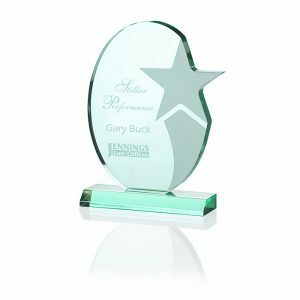 The Star Achiever Acrylic Award is a creative way to recognize your shining stars. The glass-like acrylic and shooting star design make this a great desktop display to highlight sales achievements, safety records or other top acomplishments. Are you looking to recognize employee achievements, such as the completion of a certification or training program? Present completion documents or diplomas in a logo’d Padded Certificate Holder. 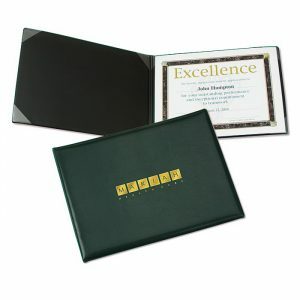 With its cushioned vinyl cover available in several colors, this certificate holder helps protect their custom award while nicely displaying your logo. 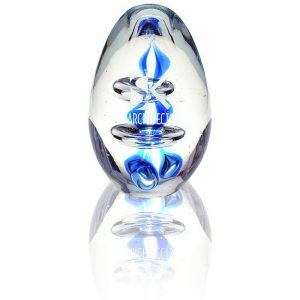 The Atom Art Glass Award is a beautiful piece crafted to be as distinctive as each employee. This exquisite award looks like it belongs in a fine gallery, but can easily fit into any home or office décor. 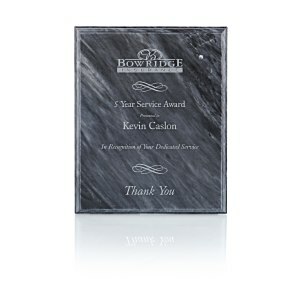 This Black Marble Plaque is a custom award with timeless appeal. 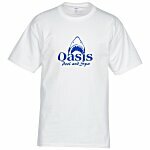 Your personalized imprint is etched in elegant marble, offering resilience and class. The Circle Lapel Pin with Gift Box is a great way to show appreciation. Made of classic brass, the lapel pin features an anti-rotational spur that helps keep your logo at the perfect angle. 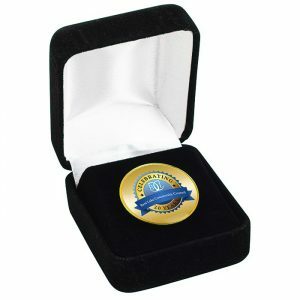 The pin comes in a velvet-lined gift box for perfect presentaion at award ceremonies. 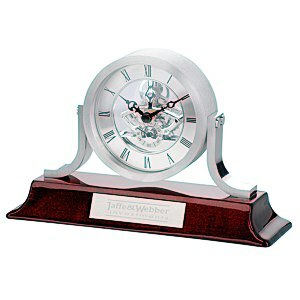 The Modern Mantel Skeleton Clock is both an elegant custom award and a functional piece of décor. The analog clock face has visible gears that create a sophisticated, intriguing look. Add your imprint to the metal plate to forever memorialize accomplishments. The Scrolled Trophy is a fantastic way to acknowlege top team members. 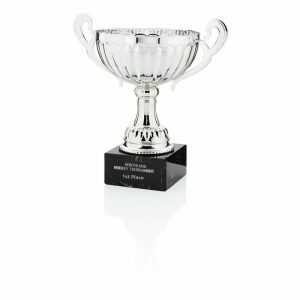 The silver cup with scrolled silver handles and marble base will make them feel like winners! This Goodwood Lead Crystal Bowl will be the talk of the office. 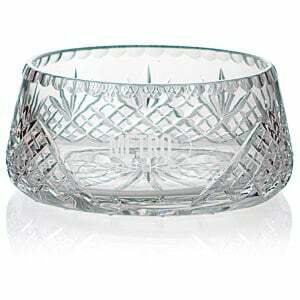 The etched, 24 percent lead-crystal bowl is a luxurious custom award suited for your very best. No matter what type of custom award you are looking for, 4imprint has a variety of options to fit your needs. The perfect employee recognition award for your team members is just a click away. Rebecca is one of 4imprint’s Category Managers, and she has been with 4imprint for 16 years. 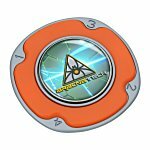 Rebecca writes about wellness & safety products, toys & novelties, and outdoor promotional products that will help spread your message at a variety of events. Organizations have much to celebrate: employee milestones, promotions, industry awards, individual accomplishments and team achievements.